We inhabit complicated bodies. Advancements in medical research have unraveled many of the mysteries of how and why our bodies and brains work the way they do, but for every enigma solved, there are a thousand more to discover. For the majority of the population, this is an accepted fact that deserves no more scrutiny, but for those coping with physical and/or mental disorders this mystery takes on a new, more urgent tone – the need to understand and ultimately, to successfully treat, whatever it is that they are facing. Much has been made of the sharp increase in ADHD diagnoses in the U.S. during the past ten years (see map above). But the controversy surrounding ADHD and related disorders, while making for intriguing sound bites, has done little to provide real answers for recently diagnosed adults, children and their families. Fortunately, recent decades have also seen a significant rise in medical research relating to ADHD, in the hopes of not only improving treatment methods, but also to remove the stigmas and social misconceptions regarding those afflicted. Understanding the underlying factors of ADHD isn’t just important for those diagnosed, but for family, friends and the larger community as well. One of the most intriguing fields of ADHD research is therelationship that genetics plays in the disorder’s development. While no single gene has been found responsible for ADHD,several genes have been shown to be susceptible to ADHD – most specifically involving a reduced level of dopamine in the brain. Research has also discovered that many of the genes implicated in ADHD have already been linked with the medications that ease the symptoms associated with the disorder, prompting further study into the relationship of how genes work together and how they interact with treatment. By studying the correlations involving heredity and ADHD, which some doctors believe can account for up to 80% of cases, the possible role of environmental factors – such as prenatal health, diet and the presence of toxins – can be decreased. This is a significant breakthrough for patients and parents who are struggling with feelings of responsibility or guilt. While there is evidence that alcohol, nicotine, and lead exposure can contribute to the development of ADHD, this research shows there is more often a genetic anomaly that acts as a trigger. There is still a great deal to be learned regarding the role of genetics in ADHD, but the recent development of several global collaborative research networks will help to shed light on this compelling connection. Larger patient populations and the resulting data offer an as yet unseen ability to study the underlying causes – across sociological and biological boundaries. While a greater understanding of ADHD has not lead to its cure – at least, not yet – it will go a long way in providing answers for families, and reducing the erroneous and harmful social theories that those with the disorder have had to contend with for decades. For the creative thinker, winding one’s way through society’s values and mores can be oftentimes confusing. As children, we are told to ‘Be ourselves’ and ‘Follow our passions’ while at the same time being warned, ‘Don’t rock the boat’. For those with ADHD spectrum disorders, societal rules can be even more perplexing, causing many to struggle with feelings of inadequacy and an inability to adapt to the ‘culture of the norm’. While there is still a great deal to learn about the disorder, there is also a growing body of research linkingthe processes of the ADHD mind with the extraordinary personality traits of the entrepreneur. Though it will be impossible to know for certain, many historians and researchers believe some of the greatest thinkers and creators of our civilization – among them Mozart, da Vinci, Einstein, and Benjamin Franklin – to have had ADHD or an associated disorder. And as our society’s knowledge and acceptance grows, some of today’s brightest minds are acknowledging their struggles, and how they have adapted their unique mental capabilities to succeeding in the business world. Entrepreneurs often seem to exist on another plane – turning problems into opportunities and building success from the ground up. Recent Canadian research attests that ADHD adults are nearly four times more likely to be entrepreneurs that their non-ADHD peers. So what makes the ADHD mind so well suited for developing new enterprises? Many entrepreneurs credit their innate creativity with helping them to achieve their goals, and seeing business opportunities in the most unlikely of corners. Rapid-fire brain processes – what some may label in children as easy distraction – helps the ADHD entrepreneur to visualize potential problems and solutions faster than their norm counterparts. Entrepreneurs rarely lack for energy. And neither do those with ADHD. By channeling the excess energy into professional aims, ADHD entrepreneurs are able to achieve great gains in a relatively short amount of time. While the rest of the world is yawning, and reaching for that third cup of coffee, entrepreneurs have already mapped out a new business plan. It has been widely accepted that ADHD-ers have a problem with focus, but the truth behind this myth is that they have a problem zoning in on subjects they are uninterested in. Give an ADHD entrepreneur an interesting problem and witness the extraordinary focus they are capable of. Today’s business world is awash in technological advantages – but it is the rare person who can attack several stimuli at once and still get the job done. ADHD entrepreneurs are masters at multi-tasking, a must in fast-paced offices. An initial diagnosis of ADHD may be devastating for some – whether for parents or an adult who has struggled to understand their difficulties over the course of a lifetime. But as we learn more about these disorders, we are also learning ways to overcome and adapt – and to utilize these unique traits. For those who have felt the sting of being different, one needs look no further than the pages of glossy business magazines to see that they are not alone. Every family has its traditions. One of ours? Not having traditional funeral services. To my memory, my family has never, during my lifetime, had a church service funeral-not for Mom, Dad, Gramp, Bam, Gramps, Gram, Aunt Ann, Uncle Bill, or even my cousin Hamill. Not a single church service. Well, tradition or not, it is something I intend to change. In my opinion, it is healthy to have church funerals. It’s a chance for closure. It brings those whose lives were touched by the deceased together, so they can reminisce. And it honors the individual. In my opinion, to not have a funeral is to leave unfinished business. There will be a traditional Episcopal church service, with scripture readings from the Bible, eulogies, a sermon, and a lot of music, including certain hymns I love. I will be cremated, and my ashes will scattered from a boat into Lake Union in Seattle.• I want to have a headstone in Interlaken, New York, next to my grandmother, who was the most important person in my life when I was growing up. I want all gifts and donations to be given to the Edge Foundation, to help young people with ADHD and learning disabilities. There will be a party, after the church service, to celebrate my life and the fun I had with all my family and friends. This last one is perhaps the most important to me. At this party there will be music-including some of my favorite ’50s and ’60s rock ‘n’ roll; Cat Stevens’ Cats in the Cradle; Mariah Carey’s Hero; some songs from the Broadway musical Mama Mia-and there will be dancing. The waltz, the fox-trot, and the tango; rumba, cha-cha, salsa, meringue, and East Coast swing; Argentine tango, West Coast swing, line dancing, and the Twist. I also want a huge world map marking the places where my kids and I have traveled, as well as flags from those countries. It will be a time of celebration. A time for remembering. A time for starting a healthy new tradition. Just keep thinking about the good side of ADD – the creativity and the originality it can stimulate. David Neeleman isn’t your average entrepreneur. While many successful businessmen (and women) share common characteristics such as keen intelligence, strong focus, a drive to succeed, and the ability to ‘think outside the box’, Neeleman credits one other aspect that has helped him thrive in his professional career – the unique processes of the ADD mind. Diagnosed at the age of 40, Neeleman had already built and sold two successful ventures prior to learning the reason behind his unusual behaviors, and today believes his hyperactivity has helped to propel him to the top of the aviation industry. A devout Mormon, husband, and father of nine children, Neeleman is also the founder and former CEO of JetBlue Airways. Since it emerged on the scene in February 2000,JetBlue has quickly grown in popularity – expanding service across America as well as adding several international destinations. In an industry already saturated with big business carriers, low-cost high-style JetBlue has been an anomaly from its inception. Like many who live with ADD/ADHD and other learning-related disorders, Neeleman had a difficult time in school – with focusing on the work and finding support from his teachers. He attended the University of Utah for three years, eventually dropping out to co-found his first business venture, Morris Air, a charter airline. In 1993, Morris Air was bought by Southwest Airlines, but after serving for a few months on their Executive Planning Committee, Neeleman left, feeling the corporate environment of the company too stifling for his idiosyncratic – yet effective – methods. Having signed a 5-year, no-compete agreement with Southwest, Neeleman instead focused his efforts on a touch screen airline reservation and check-in system, Open Skies (which was later acquired by HP) and building a new Canadian airline, WestJet, which is still in operation. After the no-compete agreement had lapsed, Neeleman returned his attentions to the American skies, wanting to build a company that combined the standout benefits of Southwest – namely low-cost tickets and premium customer service – with amenities not found on other planes. Or as Neeleman has been quoted, “to bring humanity back to air travel.” JetBlue offered passengers DirecTV satellite programming in every economy-sized leather seat – at a time when other airlines were reducing their in-flight services due to rising operating costs. In addition, all ticketing and reservations were made online – a first for the industry. Throughout his tenure with JetBlue, which ended in May 2008, Neeleman has been extraordinarily frank about life with ADD. 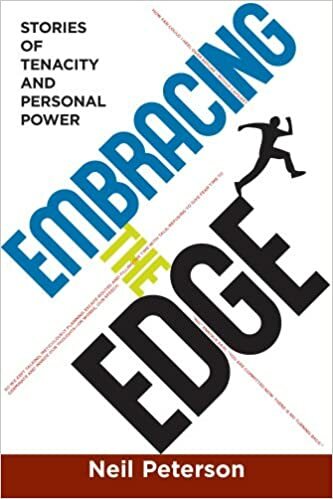 While many still fear the stigma attached to ADD and associated learning disorders, Neeleman has bravely spoken of his difficulties – and of developing routines that can help him to achieve in his professional career, and handle the everyday stresses of raising nine children. Relying on his natural creativity, and the organizational skills of his staff, he is able to focus his energies on the things he does best – building better experiences in the sky. David Neeleman’s story is another extraordinary example of the “gifts” that ADD and ADHD has to offer those who learn to cope with the difficulties brought on by the condition. Neeleman on new venture, Azul.